A panigiri (ΠΑΝΗΓΥΡΙ) is a wonderful celebration where a whole village celebrates – most often linked to their church or monastery. 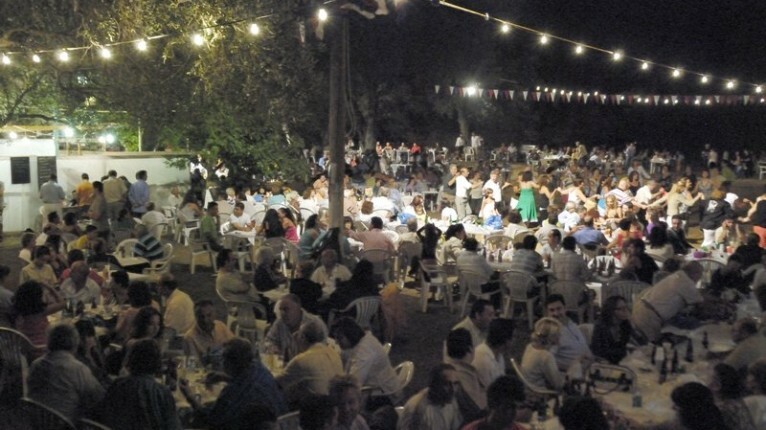 Preparations will begin from early in the morning – chairs and tables will be set out in the village square, a stage will be erected and by mid-day the aroma of roasting lamb will already be drifting through the village as dozens of whole lambs slowly roast on the spit. 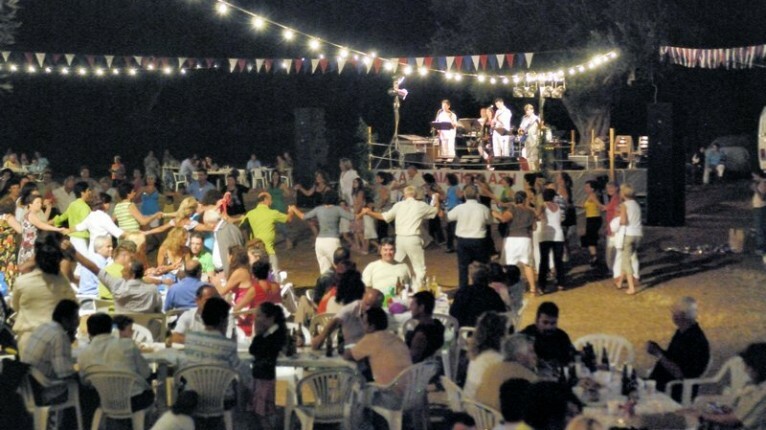 By nightfall the whole village will have assembled along with visitors for a night of eating and dancing. There is always a live band and the key instrument for the panigiri is the violin – young and old link hands to dance “syrto” and many other traditional greek dances, sometimes dances that are exclusive to their area! Visitors and tourists are not only welcome but encouraged to join in. Souvlaki (kebabs) are also usually sizzling on the grill and the wine and beer flows. A fantastic way to experience traditional Greek entertainment – for sure you will come away having made new friends! Watch out for banners advertising panigiria – they are often hung up high across the road or on big noticeboards.